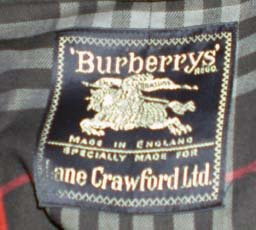 There's so much information on the origins of Burberry on the net that it doesn't bear repeating here. Very simply put, Burberry invented the trench coat. 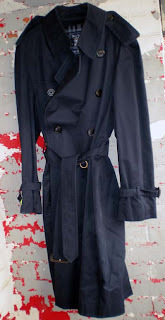 This Burberrys' trench is a Ladies, size small - medium and about twenty years old but in great shape; just one of the 200 odd items we'll be bringing tomorrow to the Sunday Antique Market. And it's priced to sell.